“The flight is going to be delayed for four hours,” Public Service Announcement (PSA) at the Tribhuwan International Airport (TIA) was announcing the travelers’ nightmare. I was traveling to Nepalgunj airport on my way to Bardiya, Jajarkot and Rukum to participate and facilitate Multi-sector Nutrition Plan (MSNP) Orientation to District Coordination Committee (DCC) members. So, I thought I would utilize the time by working out on preparation of data required to present during the events, thinking about how to improvise the events to achieve the target set; aided by a cup of hot coffee. Finally, the weather cleared, permitting the flight after three and a half hours’ delay. First of my scheduled events, DCC Orientation was organized in Gulariya, Bardiya on 2 February at DCC Meeting Hall. Participants started to fill the hall, and I could already notice the obligatory inclusiveness mandated by the constitution. Women and people from disadvantaged groups have had their presence felt. There were sessions about need of nutrition and modality of MSNP, focused on mainstreaming nutrition on the development agendas. 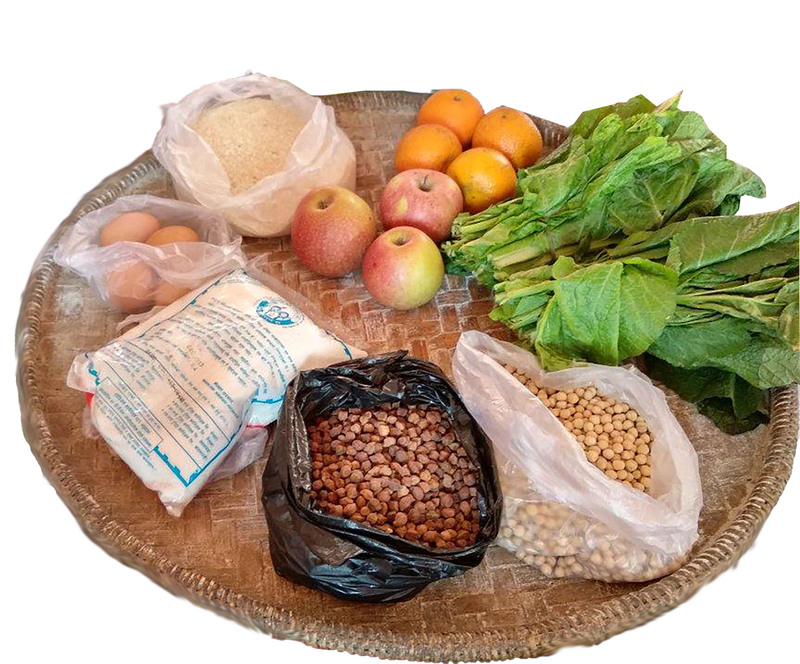 Participants, being from several political and economic backgrounds, listened as if they are assessing why the development approaches implied till date, leaving nutrition behind, have not been able to produce desired results. They were in fact convinced to promote nutrition in their development plans; the signs of commitments spilling over their faces. I headed to Khalanga, Jajarkot the next day. It was a lovely sunny day, perfect for a first-time traveler. I could feel the energy in the air that Jajarkot was putting in to break the vicious circle of poverty and malnutrition. Expecting similar event to Bardiya with similar sentiments and commitments to promote nutrition, the orientation was commenced on. And that was exactly what I found, if not more. Participants were in awe of incorporating nutrition to their development agendas. The common feeling of ‘what could have been’ was resonating within walls of the hall. For the last of the scheduled events, I traveled to Musikot, Rukum. Labelled as the hotbed of ‘Maoist Insurgency’ that engulfed the country for ten long years, the district has been now divided to two in new federal structure (Rukum East and Rukum West). Signs of improvement from the visible and invisible wounds could be observed throughout the travel, roads winding through the bank of Bheri River. A lot of water has flown in the river, and so have the emotions of people now trying to recover and reconcile from trauma caused by the war. 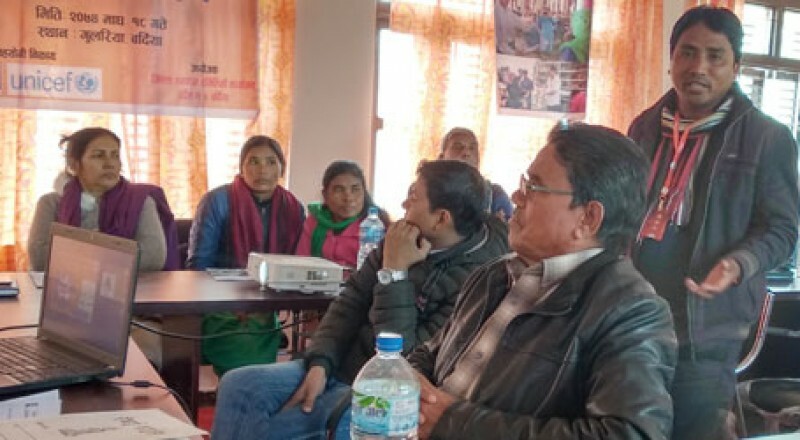 The event was organized at Rukumkot, district headquarter of Rukum East, and the participants included members of then-People’s Liberation Army of Nepal Communist Party (Maoist) and other political parties, participating seamlessly which could be observed as Nepali societies’ resiliency to overcome the suffering. Upon completion of the event, they conferred their understanding of need of promoting nutrition and committed to improve the situation to achieve the national target set for 2025. Since month of February is celebrated as ‘Iodine Month’ for last two decades, the tradition continued this year as well. HERD has directed all of its district based team members to include a session on importance of iodised salt in every events organized during February. Interesting it might seem, in all three districts where the session was organized to demonstrate difference between iodised and non-iodised salt, it was very hard to find ‘dhikke nun’(non-iodised sea salt) in the market. It could be observed as successful campaigning from the stakeholders to promote iodised salt, package featuring two children. Back in Kathmandu, all of my thoughts while at TIA during flight delay were now being recalled down the memory lane. What I thought to be challenging and puzzling to conduct the events, while sipping the coffee at the airport, had been proven wrong. The officials and representatives in new federal structure have shown excellent ownership to nutritional agenda. This could be credited in part to MSNP district team members of HERD, working with great dedication and vision to fortify the fight against malnutrition. I had heart full of delight and sense of achievement, as it always results from successful return of hard work. In the next seven years, the nutritional status of the country will definitely improve. A lot of analyses will be made about how such small events left such giant impact. Unsung heroes like District Coordinators of HERD supporting in implementation of MSNP might not wear capes, but they will certainly have their sweats stamped.